So, I tried extruding the shoulder bone with Shift + E, and this is how it turned out. Blender automatically names these bones as _L and _R, why are they mirrored on the same side? Blender's convention for armature is mirroring along -X / +X axis. 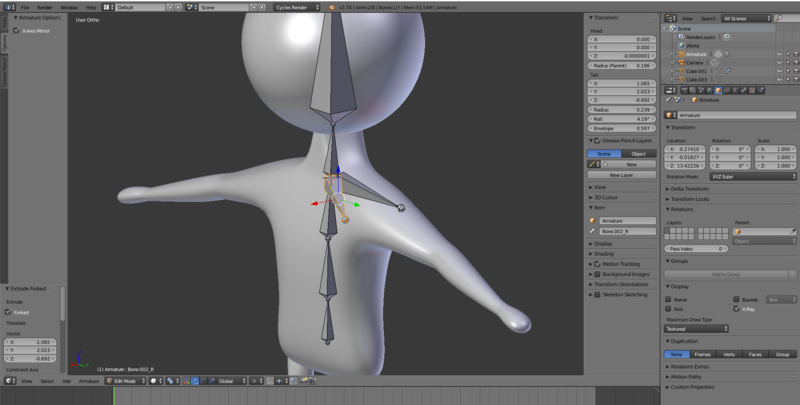 To avoid complexity, it is good to rig your character using the same orientation and scale for both the armature and your character. And much preferably no rotation and no scale. Not the answer you're looking for? Browse other questions tagged modeling bones mirror . How can bone names be copied across an axis?